We are proud to be recognized by Forbes as one of America's best employers for diversity. For nearly 40 years, we have been instrumental to the world's most significant technology advancements, delivering optimized memory and storage systems for a broad range of applications. Our team is transforming how the world uses information delivering solutions for the world's toughest computing and storage challenges. SAN JOSE, Calif., Nov. 29, 2018 /PRNewswire/ -- The Semiconductor Industry Association (SIA), representing U.S. leadership in semiconductor manufacturing, design, and research, today announced the SIA Board of Directors has elected Sanjay Mehrotra, President and CEO of Micron Technology, Inc. (NASDAQ: MU), as its 2019 Chair and Keith Jackson, President, CEO, and Director of ON Semiconductor (NASDAQ: ON), as its 2019 Vice Chair. "It is a great pleasure to welcome Sanjay Mehrotra as SIA's 2019 Chair and Keith Jackson as SIA's Vice Chair," said John Neuffer, SIA President and CEO. "A design engineer by trade, Sanjay is a highly accomplished industry veteran and a leading voice on semiconductor technology. With more than 30 years of experience, Keith is a mainstay in our industry and a devoted champion for semiconductor priorities. Their combined skills and experience will be a tremendous asset to SIA as we pursue our industry's interests in Washington and around the world." 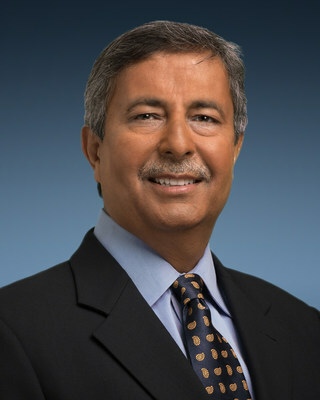 A 39-year veteran of the semiconductor industry, Mehrotra joined Micron in May 2017 after a long and distinguished career at SanDisk Corporation, where he led the company from a start-up in 1988 until its eventual sale in 2016. In addition to being a SanDisk co-founder, Mehrotra served as its President and CEO from 2011 to 2016, overseeing its growth to an industry-leading Fortune 500 company. Prior to SanDisk, Mehrotra held design engineering positions at Integrated Device Technology, Inc., SEEQ Technology, and Intel Corporation. Mehrotra earned both bachelor's and master's degrees in electrical engineering and computer science from the University of California, Berkeley. He holds more than 70 patents and has published articles in the areas of non-volatile memory design and flash memory systems. "The semiconductor industry is leading the greatest period of technological advancement in human history, making the seemingly impossible possible and opening up tremendous opportunities for economic growth," said Mehrotra. "Driving innovation requires our industry to speak with one voice and promote policies that support our industry vision, and I look forward to helping lead that effort as 2019 SIA Chair." Jackson began serving as President, CEO, and Director of ON Semiconductor in November 2002. 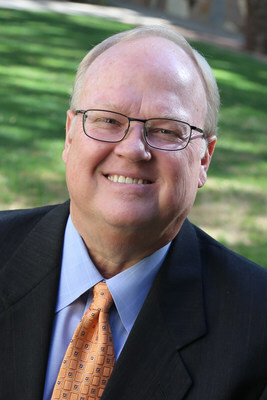 Before joining ON Semiconductor, he was with Fairchild, serving as Executive Vice President and General Manager, Analog, Mixed Signal, and Configurable Products Groups, and was head of its Integrated Circuits Group. Previously, Jackson served as President and a Member of the Board of Directors of Tritech Microelectronics in Singapore and worked for National Semiconductor Corporation, most recently as Vice President and General Manager of the Analog and Mixed Signal division. He also held various positions at Texas Instruments Incorporated, including engineering and management positions, from 1973 to 1986. Mr. Jackson earned his bachelor's and master's degrees from Southern Methodist University. "It is an honor to serve as 2019 SIA Vice Chair," Jackson said. "Many issues of great importance to the semiconductor industry are being debated in Washington and around the world. We look forward to promoting policies that advance semiconductor technology and move our industry forward." The Semiconductor Industry Association (SIA) is the voice of the U.S. semiconductor industry, one of America's top export industries and a key driver of America's economic strength, national security, and global competitiveness. Semiconductors – microchips that control all modern electronics – enable the systems and products we use to work, communicate, travel, entertain, harness energy, treat illness, and make new scientific discoveries. The semiconductor industry directly employs nearly a quarter of a million people in the U.S. In 2017, U.S. semiconductor company sales totaled $189 billion, and semiconductors make the global trillion-dollar electronics industry possible. SIA seeks to strengthen U.S. leadership of semiconductor manufacturing, design, and research by working with Congress, the Administration and other key industry stakeholders to encourage policies and regulations that fuel innovation, propel business and drive international competition. Learn more at www.semiconductors.org.